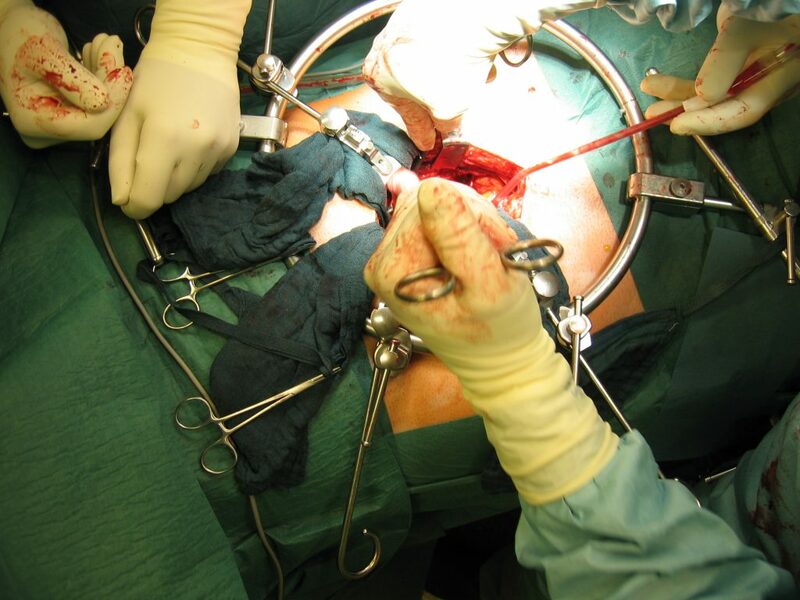 In October of 2004, 10 months after my first surgery, I travelled back to Germany, with my friend Mark Mintzer, for my fifth, and hopefully last painful surgery to remove the damaged artificial disk and to implant a new one. The bottom picture shows how the surgeons accessed my spine by going through my abdomen. 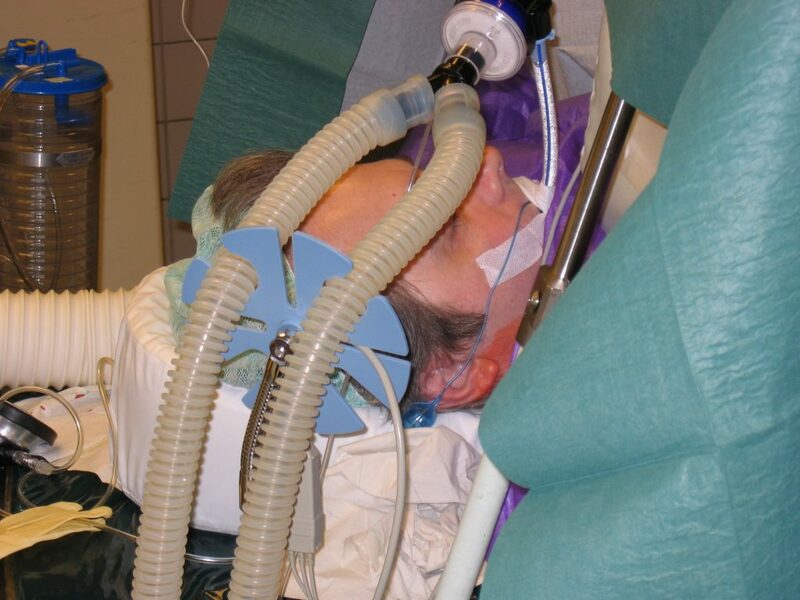 These photos, taken by Mark, were shot during the surgery.